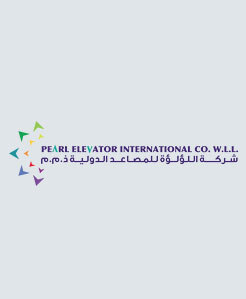 Pearl Elevators International [PEI] was established in the year 2008 with a challenging vision of providing high quality elevators and services to the people of Bahrain at very reasonable prices. PEI’s association with ORONA group in the year 2009 was the milestone in the company when the elevator division succeeded in the market by providing high quality European made elevators at affordable price.The following success of the division prompted Alfanar Investment to provide a platform through which more products and better services can be provided to the market and hence Pearl Elevators International was born. Orona elevators a subsidiary of MCC (Mondragon Corporation Cooperative)is one of the leading European manufacturers and is located in Span. They have operations spread over 90 countries globally. The Bahrain market welcomed our new product lineswith repeated orders and recommendations by major developers and architects. Today the company enjoys 10% market share in the industry and reached installation base of 200 plus elevators in Bahrain. Our product range within this sector includes elevators, escalators, dumbwaiters, building maintenance units (BMUs), roller shutters, sectional doors and all type of steel doors etc. We have signed exclusive agency agreements with some of the world’s leading companies like Orona lifts (Spain), Cox Gomyl (Australia), XJ Siemens Elevator company (China), Teckentrup (Germany) and Aritco home lifts (Sweden) . Just to name a few. Our company has recently signed subcontract agreement with most of the ongoing major projects in Bahrain. Our recent projects in Bahrain are Bahrain Four Season hotel, Ministry of finance, Al Baraka bank head quarters and National Theatre. Our elevator installation base in the Kingdom of Bahrain includes hospitals, shopping malls, office complexes and many residential developments across Bahrain. With the support of a team of highly efficient and qualified sales engineers, technicians and office support staff, the division is committed on delivering the best products and services to its customers. The division is also supported by its 24/7 after sales service department who is ensuring trouble free operation of all products installed by the company.